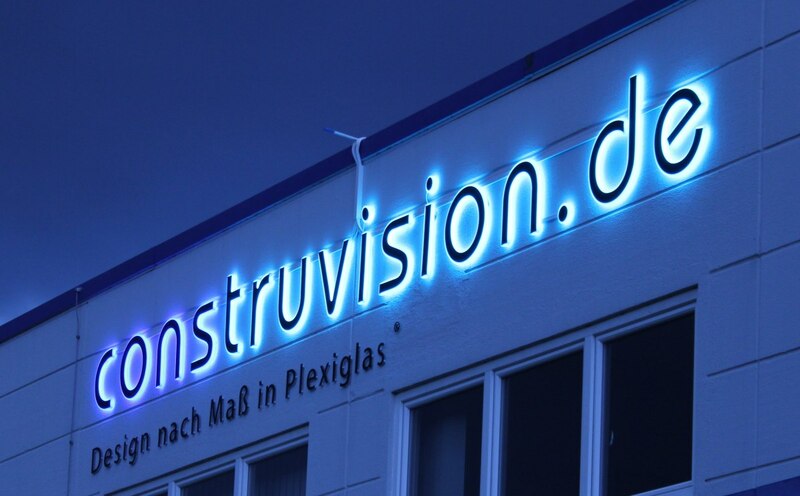 Earlier this year my colleague RÃ¼diger and me build some LED-Letters and mounted them to the building front. The letters themselfes are made of 20mm Acrylic with buildin RGB-LEDs. A 3mm black Acrylic plate was added on top to cover the LEDs and generate more contrast for daylight conditions. 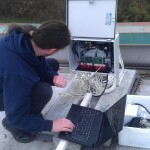 The control is build around the OLA Software. A Raspberry-Pi drives all the components. Two KarateLight devices provide 8 RGB channels each. A USB-Hub (which also poweres the Pi) and a USB-WLAN-Stick make the setup complete. The LEDs are powered by two 320Watt switching-mode PSU. Everyhting fits nicely into a steel cabinet which makes this thing waterproof. In order to organize the cables coming in at the bottom I build two combs which clamp the cables into place. Since i dont have a cool DMX Application i wrote a few lines of python to generate a simple animation. Basically all it does is calculate a gauss-distribusion which is then shifted from left to right. Its quite simple and not well implemented, but it works: ola.python_fader. I then use ola_recorder to store a single run of the script into a file. Playback is also done with ola_recorder running inside screen.